Here's my thing about it. I love making it (so easy!) and serving it (so pretty! ), but I don't really love eating very much of it. I'll take maybe a tablespoon or so of it total with my Thanksgiving dinner, and then I'm pretty much good for the year on that. So what to do with all the leftovers? We bake, of course! Layered between cake. Baked into tarts. Spread on a wheel of brie that's tucked into puffed pastry. So much good stuff here. And today I decided to make us some Cranberry Sauce Bread. When I told Eugene I was making this, he asked me what that meant, flavor-wise. 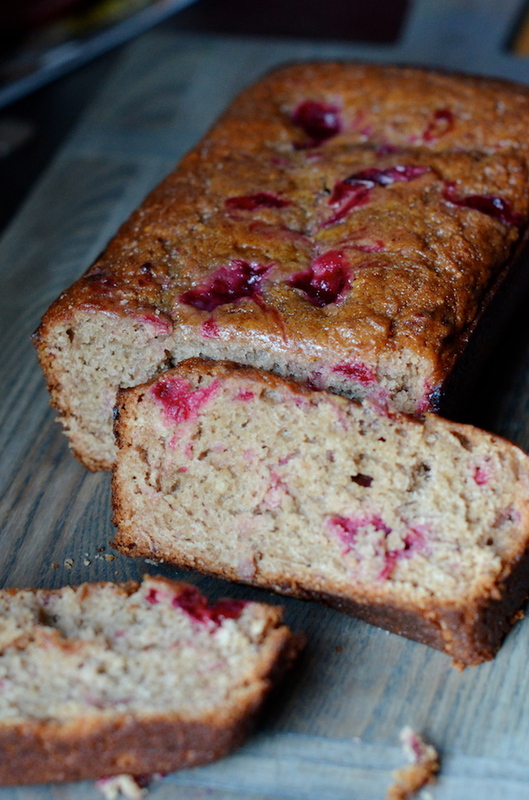 So I told him: it's basically banana bread except with cranberry sauce instead of mashed bananas. This is a quick and dirty one-bowl kinda thing. Stir it up. Bake it up. 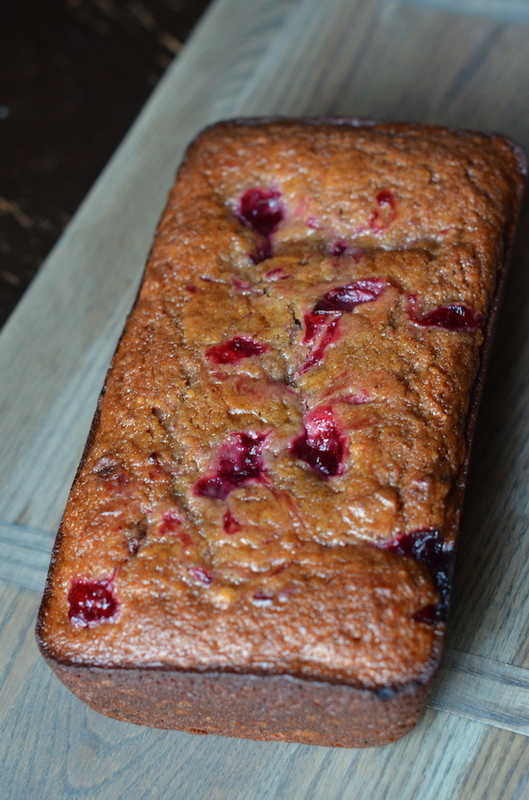 And it won't be long before you're slicing up soft, sweet bread studded with pockets of tart cranberries. I love this a little bit toasted with some melty butter and a sprinkle of good salt. Or a slice while running out the door during a crazy day. With morning coffee. With afternoon tea. This is a great chilly wintertime snacky cake. Preheat oven to 350 degrees. Grease a 9x5” loaf pan, and set aside. In a large bowl or the base of a mixer, beat together 1 cup of the cranberry sauce, oil, sugar, egg, and vanilla. Add the flour, salt, baking soda, and ground cinnamon. Stir well just until evenly combined. Spread into the prepared pan. Dollop the remaining cranberry sauce on top, then bake about 50 minutes, or until a tester inserted in the center comes out clean.